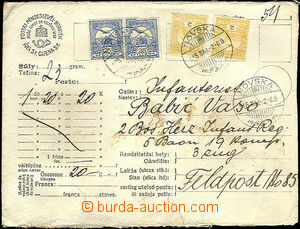 1924 special air postcard sent by air mail from Esztergom 924 Sep. 23 to Budapest, with Mi.383-386, 392, 378. Supplemented with frame cancel. Légiposta Esztergom-Budapest. good condition. 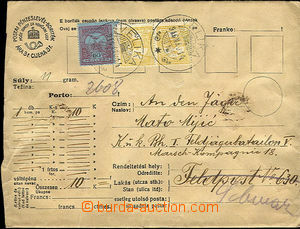 1932 special air postcard paid by stmp Mi.430, 431, 411, 412 with CDS Légiposta Budapest 932 Sep. 3. 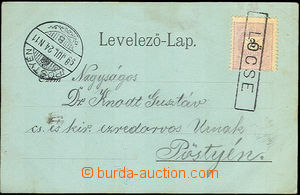 Mounted also Esperantist air-mail label Příchozí CDS Sashalom 932 Sep. 5. abraded corners, vydřená part text address.